Asperger syndrome is part of a group of conditions where people experience difficulties with communication and social skills, and which can lead to isolation and emotional problems. Because there is a wide range of severity and symptoms, the conditions are collectively known as autistic spectrum disorders. Symptoms vary from so mild that the person can function as well as anyone else around them, to so severe that they are completely unable to take part in normal society. People with Asperger syndrome are usually more mildly affected than those with autism. 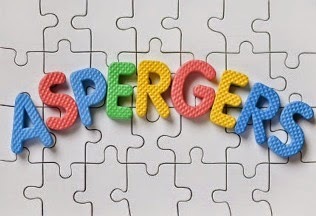 In fact, many people with milder symptoms are never diagnosed at all, and some argue that Asperger syndrome is simply a variation of normal rather than a medical condition or disorder. Even so, many people with Asperger syndrome (or their family) find it causes particular problems getting on with daily life and this can result in isolation, confusion and other difficulties, all of which could be defined as 'disease'. * Failing to notice the body language of others. * Appearing insensitive to the feelings or views of the listener. * Continually talking, unaware of the listener's interest. * Appearing over-precise in what they say. * Taking comments literally (for example, misunderstanding jokes, metaphors or colloquialisms). Understanding non-verbal signals such as body language, gestures, facial expressions and tone of voice. Obsessions with objects, interests or routines which tend to interfere further with building social relationships (this is known as stereotyped or repetitive behaviour). 3. Lack of imagination and creative play. Children with Asperger syndrome are often of average or above intelligence, and may be particularly good at learning facts and figures. However, they may also lack imagination and find creative play or thinking in the abstract very difficult. This means they may be particularly good at topics such as maths or history, but struggle with subjects such as philosophy, religious education or creative arts. There's no specific treatment or 'cure'. Instead, the aim is to help the individual learn to manage in a world that thinks or functions slightly differently than they do. An early diagnosis is important as this will help the individual and those affected understand and appreciate the syndrome and how it can influence their relationship with the world around them, and find the right support. Because the syndrome varies, some children manage (or in fact do very well) in mainstream schools, especially if extra support is available. However, even when children cope well academically, they may have problems socialising and are likely to experience teasing or bullying. More severely affected children need the specialist help provided by schools for children with learning disabilities. Behavioural therapy, Appropriate specialist education and Social skills training. As they get older, children with Asperger syndrome may become aware they are different from others. This can lead to a sense of isolation or depression, especially if they have trouble building a circle of friends. Helping them develop some insight into the condition is an important step towards adjusting to, or at least coping with, the way the rest of the world works. Some people with Asperger syndrome do very well, especially in an environment or job where they can use their particular talents.